Designed for C2/C3 Equipment. 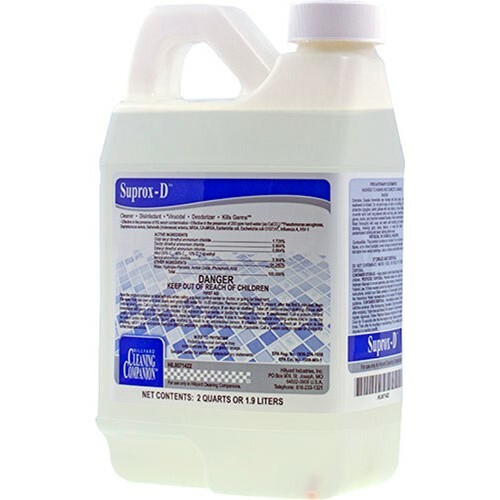 Suprox D is an EPA Registered, hospital disinfectant cleaner with the cleaning power of peroxide. Suprox D is neutral in dilution and contains no dyes or fragrances, making it safe and effective product. Contains 7.9 percent peroxide. Suprox D uses Quaternary Ammonium as its active ingredient with its hydrogen peroxide, which has a decided advantange in cleaning effciencies. Dilution rate 2 oz per gallon.